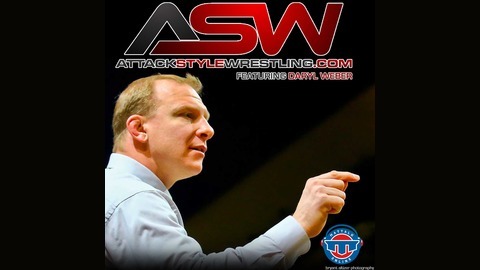 The Attack Style Wrestling Podcast provides high school and youth wrestling coaching tips for coaches, parents and athletes from NCAA Wrestling Champion and Hall of Fame high school coach Daryl Weber. AttackStyleWrestling.com. Part of the Mat Talk Podcast Network. 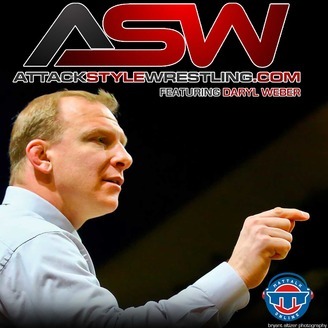 NCAA champion Daryl Weber is back as the Attack Style Wrestling Podcast kicks back up just in time to start thinking about the high school wrestling season. Upon the show's return, Episode 33 explains Coach Weber's Coaches Guide: 6 Topics to Game Plan Before November. Building a Healthy & Successful Program Complete Practice Planning & Developmental System Practice Drills & Live Scenarios for Overall Development Constructing Your Programs Technique System How to Build Yearlong Peaking Systems and Strategies Developing Complete Strength & Athleticism for All Ages & Levels The Attack Style Wrestling Podcast is brought to you by AttackStyleWrestling.com. SUBSCRIBE TO ATTACK STYLE WRESTLING PODCAST iTunes | Stitcher | Spreaker iHeartRadio | Google Play Music | RSS JOIN THE TEAM And if you're a fan of the extensive and broad-based reach of the shows on the Mat Talk Podcast Network, become a TEAM MEMBER today. There are various levels of perks for the different levels of team membership. If you like wrestling content -- scratch that -- if you LOVE great wrestling content, consider becoming a team member. You'll get some cool stuff too. Looking to start a podcast of your own? Get a free month with Libsyn.com by using the promo code MTO when you sign up. You'll get the remainder of the month from when you sign up as well as the next month free. It'll be enough time to kick the tires and lights some fires.